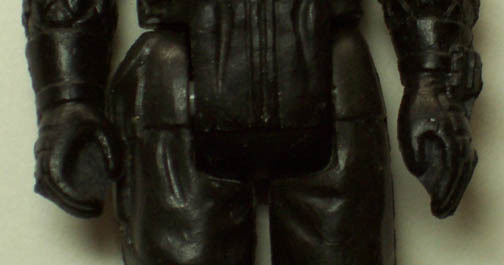 This Rebel Soldier unpainted hardcopy figure differs substantially from what most prototype collectors are familiar with in terms of coloration and material. 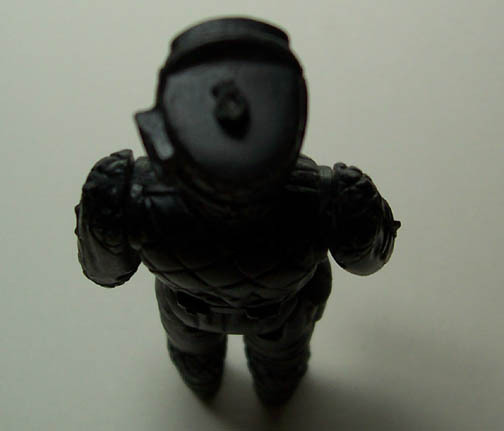 While dynacast and carbalon, two materials frequently used on Kenner hardcopies, are commonplace, this black urenthane has not surfaced as frequently. It is referred to as Repro-10 and was used primarily during the Star Wars era, although ESB era hardcopies, like this one, have surfaced in the same material. The two photos above show the hardcopy from the front and back. Both photos illustrate the removability of the head and limbs from the torso. Keep in mind that each piece of the figure is cast from a seperate silicone mold, like the one seen here for Walrusman's head. 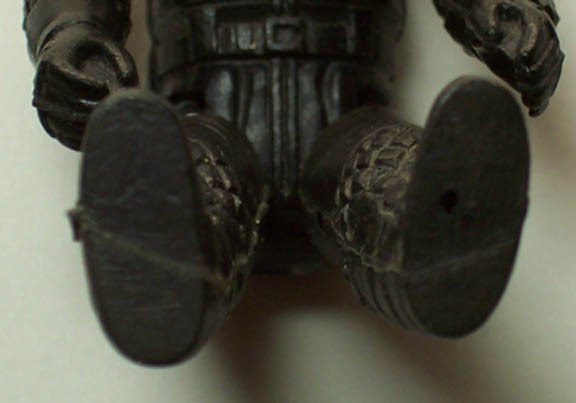 Unlike production figures, hardcopies never exhibit foot holes (illustrated above), copyright information, or country of origin markings. During the creation of a hardcopy, liquid urethane is poured into each silicone mold and enters the internal mold cavity through a channel referred to as a gate. Once the urethane solidifies, a urethane protrusion exists where the material has hardened inside the gate. The resulting pour stem must be sanded down to ensure a smooth surface exists, something that has not entirely taken place here, evidenced by the partial pour stem protruding from the middle of the head. As illustrated by the above photo, excess urethane has not been cleaned out of the area between the hands. The final two photos show various side angles of the hardcopy. Metal dowels or in this case plastic dowels are typically employed to hold each appendage to the torso. 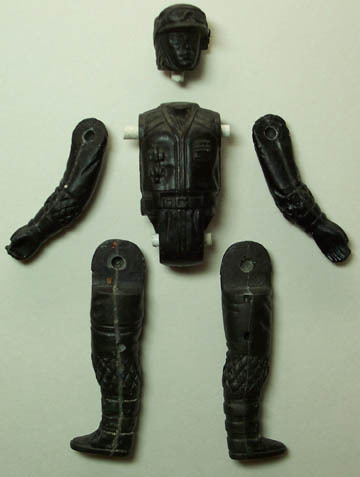 Relatively few Repro-10 hardcopies are featured on the Archive, however the arms accompanying the Chewbacca original sculpting are cast in Repro-10. 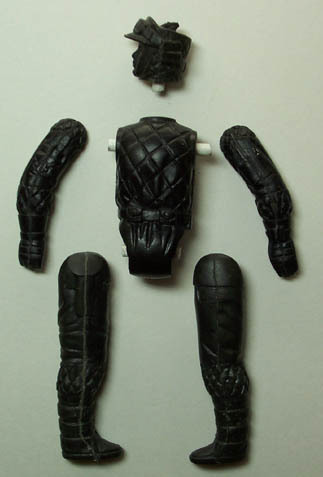 A single complete unpainted Rebel Soldier and several incomplete Rebel Soldiers surfaced in a single group over 5 years ago, however everything from that find was cast in carbalon. Two incomplete hardcopies from said find may be viewed here and here. 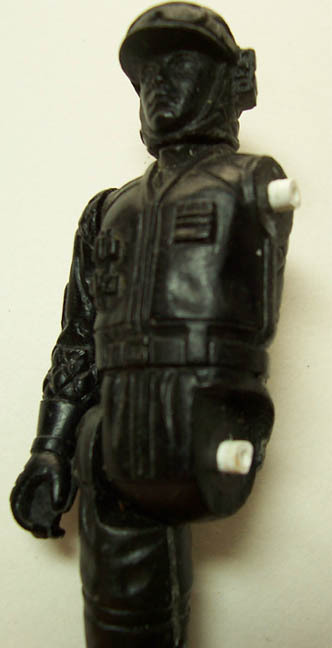 The black Rebel Soldier hardcopy represents only the second complete unpainted example of the character to surface and is the sole representation of the character cast in Repro-10. At least two existing complete painted Rebel Soldiers have also been documented, one featuring an alternate paint deco.